La Bohemia Baja is more than just a hotel. It's the embodiment of our philosophy on traveling. We believe in the fresh air of the great outdoors, getting off the beaten path, excellent eating and drinking, and most importantly, a great night of sleep. La Bohemia Baja is a hotel by travelers for travelers and we have taken great care to create a cozy and upbeat environment where you can make the most of your time here in beautiful Baja California Sur. Check in. Set your bags down, lie on the bed and take a deep breathe, you're in Mexico! Pony up to the Roadie Bar and let's chat about having you make the best of your adventure. After a great night's rest, you're on the town or in the sea on one of our many adventures. Everything from Swimming with the whale sharks, a surf lesson, an art walk or a Taste of the Town dinner tour! Explore the incredible world renowned restaurants that make this Pueblo Magico so special. 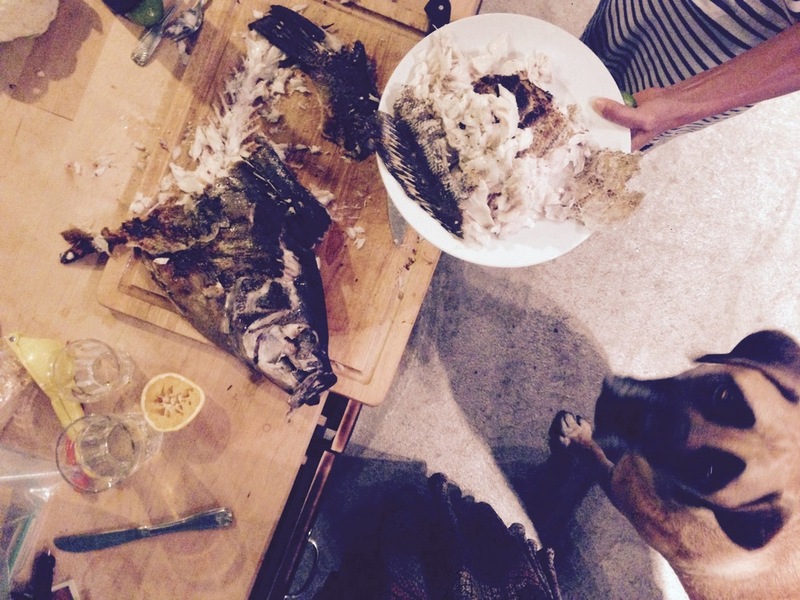 Sashimi, Greek, Italian, Chinese, you name it, Todos Santos is up for the challenge. La Bohemia Baja Hotel Pequeño delights travelers with unmatched comfort, entertainment and hospitality. The hotel offers 8 thoughtfully designed rooms accompanied by a lush tropical garden, palapa-shaded patio, and plenty of places to take a siesta or enjoy a cold beer. The hotel is tucked into a quieter corner of the bustling artists mecca that is Todos Santos, with shops, galleries and fantastic restaurants. Included in the stay is a delicious breakfast and The Panga Rosa bar serves beer, wine and cocktails throughout the day (seasonal). On site hosts are always here to help organize fishing trips, surfing trips, paddle board tours, swimming with whale sharks, hikes, mountain biking and other tours and much more. Palapa covered patio for yoga classes, Mezcal tastings, and the occasional fish taco night. Access to the El Faro Beach Club! La Bohemia offers 8 artful rooms with tastefully decorated accommodations along with unmatched hospitality. With both standard and deluxe room offerings, each chamber has its own custom designed and lively headboards, imported linens, down comforters, luxury towels and alpaca throws. Each room has a full bathroom with locally sourced aromatherapy amenities, the showers are adorned with hand painted tiles from the mainland and colorful Mexican sinks. 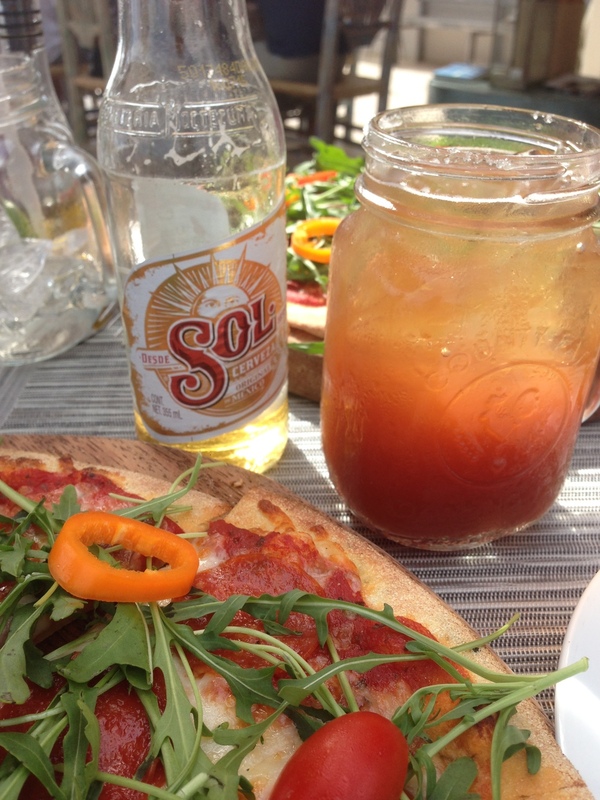 Our job here at La Bohemia Baja is to keep you as happy and comfortable as possible. From our Pillow Bar luxury sheets to local hikes and hidden restaurants, the staff at La Bohemia are here to help you explore Todos Santos and Baja. With maps and packages, we can set up mostly anything for our guests to show you the custom, relaxed (or not) vacation that you've been looking for. See below for some of our past clients adventures and read our Trip Advisor reviews for an insight into a day in the life of La Bohemia Baja Hotel Pequeno. See why people love staying at La Bohemia Baja Hotel Pequeño. See what we're up to and browse traveler photos. We are open 24 hours a day to help you book your next adventure! Please let us know how we can be of best assistance! Baja California Sur encompasses the southern part of the Baja Peninsula and is considered part of Mexico. The area is reachable by plane via the Los Cabos Airport (SJD) or the La Paz Airport (LAP). For travelers with more time and a zest for adventure, we also recommend an epic road trip down Route 1 from Southern California. 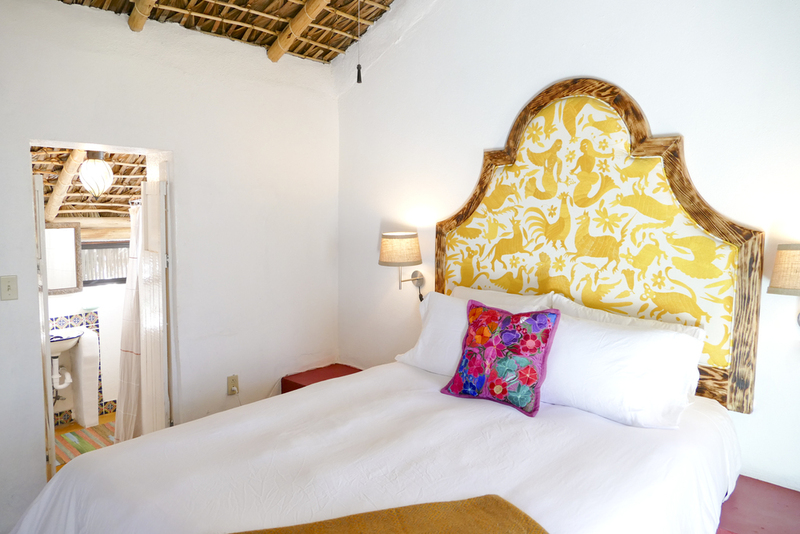 La Bohemia Baja Hotel Pequeño is located in the town of Todos Santos, just a few blocks away from the town square. Walk to shops and restaurants in minutes. The closest beach is a 25 minute walk from the hotel and many popular surfing and swimming beaches are within a 5 minute drive. Shuttle: An easy option for arrival is the shuttle between either La Paz or Los Cabos airport with www.ecobajatours.com. Fares are approximately $25 dollars each way and can be purchased on the EcoBajaTours website. They have AC and WiFi on board. They have about 4-5 pickup times throughout each day. Car Rental: The main highways are paved and easy to navigate, making rental cars a viable option for travel here. We also recommend renting a cra so that you have more leisure to explore the area on your own. All major rental agencies are represented in the airports. We recommend Priceline at www.priceline.com to try and bid for under $3/day. HOWEVER, since you are a foreigner you are required to have at the least liability insurance and since you will be riding off road, collision insurance as well. We recommend renting from the airport in Cabo. Todos Santos only has a small Bidget rental office. Private Transportation: La Bohemia Baja is happy to arrange a private shuttle in an air conditioned vehicle for $150 each way (per vehicle not per person) to accommodate you and your travel itinerary. We can fit from 1-8 people per car. WE LOVE HEARING FROM YOU and are happy to answer any of your questions. Make sure to check out our FAQ page as well as ask about Booking the whole hotel or having your rehearsal dinner under the palapa. We would love to help you plan your trip and customize a tour or weekend for you! Our office is open from 9am to 6pm Mountain time. We do our best to respond to voicemail and emails within 24 hours.